Time for the Mid-Month Battle of the Bands! As promised, I’m taking us back to my favorite time period for music - the 70s. I swear I could listen to music from that era all day long and never grow tired of it. For today’s lineup - I’ve got two really good artists. One of which, co-wrote the song. Yes, I’m taking a big leap of faith by including the original artist as one of the contestants. I beg of you, PLEASE DO NOT LET THIS MINOR DETAIL SWAY YOUR VOTE! The song was co-written by Leo Sayer and David Courtney. David Courtney is known for his work as a songwriter and producer. He has worked with many well known artists such as Roger Daltrey, Gene Pitney, Eric Clapton, David Gilmour and Jimmy Page. Courtney was responsible for introducing the first Walk of Fame cultural attraction in the UK. Leo Sayer released this song in 1973. It was Sayer's first hit record (reaching its chart peak of #2 in early 1974 in the UK). The song reached #3 on the Irish Singles Chart in January 1974, and was included on Sayer's debut album Silverbird. Three Dog Night released their cover of this song in 1974. It became a hit in the US, peaking at #4 on the Billboard Hot 100. The record reached #1 on the Cashbox pop chart, #2 on the Canadian RPM Magazine charts, and became their seventh and final Gold Record. 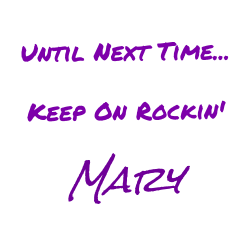 Three Dog Night changed the last line in the chorus from "I won't let the show go on" to "I must let the show go on". Reportedly, Leo Sayer was not happy about this change. Now I’m asking you to do me a HUGE Favor. 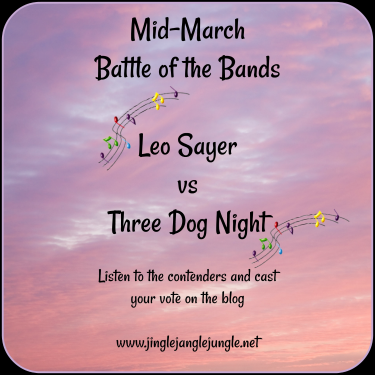 Please listen to both contenders and then vote for either Leo Sayer or Three Dog Night in the comments below. I’ll keep the voting open until Sunday, March 25 with results posted on Monday, March 26. This is a song that I haven't heard in a long time. I can't recall ever having heard the Leo Sayer version, but there was a lot I really liked about it as well as things that annoyed me. It was very good though. But in the end I still have to stay with the 3 Dog Night version since it's the one I've known and it's slicker sounding with more continuity in the arrangement. A vote for Three Dog Night. First vote of the battle. You are ON it! Hi MARY. interesting songs. Thank you for posting them. I don't really like music that much so I couldn't say which one is better but it was nice to listening them. Listen up, you talentless hack! I don't know what you've done with the REAL guy who poses as Stephen T McCarthy, but you had better untie him and let him cast his vote - Or I'll be setting this place a-fire real quick-like! Don't you dare be calling yourself a blogger and not be able to form a simple opinion! I'm glad to find you weren't fooled by that doppelganger with the bad grammar pretending to be me! I managed to get untied and get away. So, this is the REAL fake me now! I know this will sound peculiar coming from someone who genuinely likes Tiny Tim, but I've always found Leo Sayer's music to be kind of weird. The guy has GOT TO BE a strange duck in real life. Like Lee, I don't remember ever hearing Sayer's original of this song. And considering that 3 DOG NIGHT's cover actually went all the way to #4 in '74, I find it surprising that it only sounds vaguely familiar to me. #4 in '74 is something I'd expect to be totally familiar with. Odd. Well, in this Battle, I'm giving my vote to 3 DOG NIGHT. I have always liked them (I even have a recording of theirs on my 'To BOTB Someday' list), and I didn't care much for Sayer's voice. That's it. That's my rulin'. Ahhh, Tiny Tim. I seriously considered using him in my upcoming April 1 battle. You'll have to be patient to see if he actually gets used. Speaking of odd ducks - what was up with that video you posted for Long Tall Glasses? It was as if his left foot was nailed to the floor! I think part of the charm of the early 70s is that everyone was trying so hard to be unique and different, that some came across as a bunch of weirdos. Perhaps that is why I relate to them so well. Your and Stephens' dialogue made me smile. Y'all really have a marvey chemistry. :) I hate to sound like a broken record but I don't remember Leo Sayer doing this song and the dude co-wrote it. I haven't heard anything by Sayer in forever, so this was definitely fun and like my mewsical co-horts in crime I liked his version in but not well enough to give my vote to. That means another tally for 3 DOG NIGHT. Great battle. WAIT! You and Stephen mentioned Tiny Tim. Did he cover this song? >>...You and Stephen mentioned Tiny Tim. Did he cover this song? In all of my searches for this song and Tiny Tim, I came up empty handed - but for all I know he may have covered the song, but no footage was ever recorded of it. Glad that Stephen and I could make your day brighter. Comments should always bring smiles to faces. I know I usually get a kick out of the comments on his page. I couldn't even finish listening to the Leo Sayer version. My vote goes to the awesome Three Dog Night! While Three Dog Night's cover of the song is excellent and I typically prefer them over just about anyone, I have to admit that Leo's original sounds better to me here. Maybe I just remember him singing it while dressed as Pierrot, which I thought added the appropriate dose of patheticness to it, or maybe I'm rebelling against my better judgment , but I'm going with Leo Sayer here. You just saved poor ol' Leo from a shutout :) All is well again in the blogging world. I was just a little child when this song hit the charts, so I had to familiarize myself and listened to both versions. I would vote for Three Dog Night. People always say that nothing beats the original, but I would say, maybe I would agree, but not with this song. Every once in a while there is a good contender to go up against an original artist. Usually not, but that's why I chose these two to compete. I love when you do these because I rarely listen to music so I always learn about new bands! I honestly enjoyed them both very much but I would say Leo Sayer was just a little bit more appealing to me. Can't wait to find out the winner!! Thanks! I enjoy the battles as well. It's so interesting to see/listen to the covers and the various artists take on the original song. Oh I love these! I do love Leo Sayer, he's an absolute classic isn't he? I'm all about a bit of Leo! It's true, Leo is a classic - but then, so is Three Dog Night. I'm so glad that you enjoy the battles. I'll post results on the 26th. Going have to go Leo Sayer! he's a classic! Hmmmm this one is a difficult one and they sound the same to me. I cannot seem to but I think I like the second better! A vote for Three Dog Night, it is! Ha Ha! 'Not my circus, Not my Monkeys' comes to mind, doesn't it? Leo Sayer was a favorite of mine, back in the day. In fact, my grumpy old Dad heard me and a friend do a duet of "When I Need You" and comically made us do it over and over...and over...and over... When Dad passed away and we were deciding on music, I said "we could always play 'When I Need You' in the background, Dad loved that one" and my mother burst into tears and said that Dad would sit straight up at the first few notes. But Three Dog Night's version - love it. A VOTE FOR THREE DOG NIGHT! It's funny the songs that come to mind when our parents pass. When my mom passed, my brothers and I joked about all of the inappropriate funeral songs we could use. We laughed at the thought of Adele's "Hello (from the other side)" playing. I remember this song vaguely-not a big fan of it then or now! But having listened to both of them I have to say I definitely prefer Three Dog Night's version. Both are great musicians and it's very difficult to choose a winner. Since I am also Leo, I just have to support another Leo. Leo Sayer is my winner. A vote from Leo for Leo... sounds good to me! Three Dog Night - loads better! Hope your week is good! I'll be around eventually. Just too tired to think straight at the moment. It's a difficult choice. My uncle was a big fan of Leo Sayer and I remember growing up listening to the songs alongside him. I do like Three Dogs Night better!